The nineth ½ oz. silver coin in the Royal Canadian Mint’s O Canada series focusing on iconic Canadian images, this beautiful coin celebrates the Northern Lights in full colour. An excellent addition to your nature-focused, Northern or Canadiana coin display. • Masterfully crafted by Royal Canadian Mint engravers using a variety of engraving techniques and finishes to bring this stunning Arctic image to life in full colour. 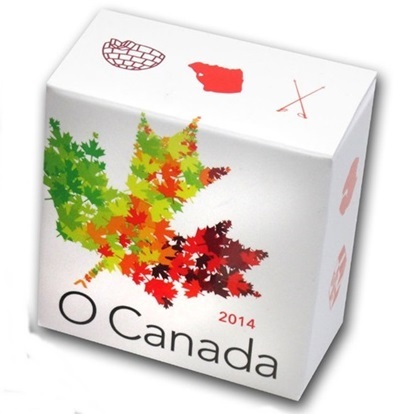 • Own a piece of Canada’s North, beautifully captured in half an ounce of 99.99% pure silver. • A beautiful gift or collectable for those who love Canada’s North, Inuit and First Nations heritage, historical images, nature, original artwork and Canadian themes. 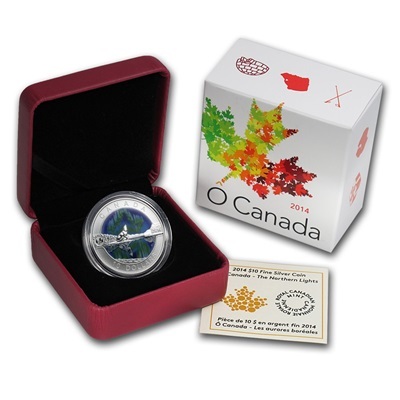 Your coin is encapsulated and presented in a Royal Canadian Mint-branded maroon clamshell with a custom beauty box & certicicate of authenticity.